The International Organisation for Migration, IOM, said it rescued no fewer than 600 people since April 2017 through a new search and rescue operation that targeted migrants stranded in Sahara Desert. The UN migration agency, however, regretted that 52 migrants, mostly from The Gambia, Nigeria, Senegal and Cote d’Ivoire, died over the period, according to its statement on Tuesday. “We are enhancing our capacity to assist vulnerable migrants stranded in Northern Agadez, towards the Niger-Libya border. “Saving lives in the desert is becoming more urgent than ever. “Since the beginning of the year we have been receiving frequent calls to rescue victims who embark on this route‎,” Giuseppe Loprete, Niger Chief of Mission for IOM, said. According to him, a 22-year-old woman was the only female among the survivors of a rescue mission on May 28. “She left Nigeria in early April hoping for a better future in Europe. “There were 50 migrants on the pick-up truck when it left Agadez for Libya, but only six are still alive today,” Loprete said. Recounting her ordeal, the Nigerian survivor said: “We were in the desert for 10 days. After five days, the driver abandoned us. “He left with all of our belongings, saying he was going to pick us up in a couple of hours, but he never did,” she recalled. During the next two days, 44 of the migrants died which persuaded the six left to start walking to look for help. “We had to drink our own pee to survive,” she said. On June 9, another 92 migrants were also rescued through an IOM search and rescue operation; among them were 30 women and children. More recently, 24 migrants were taken to Seguedine, where one died on arrival. “Among the 23 survivors are migrants from Gambia, Nigeria, Senegal and Cote d’Ivoire. 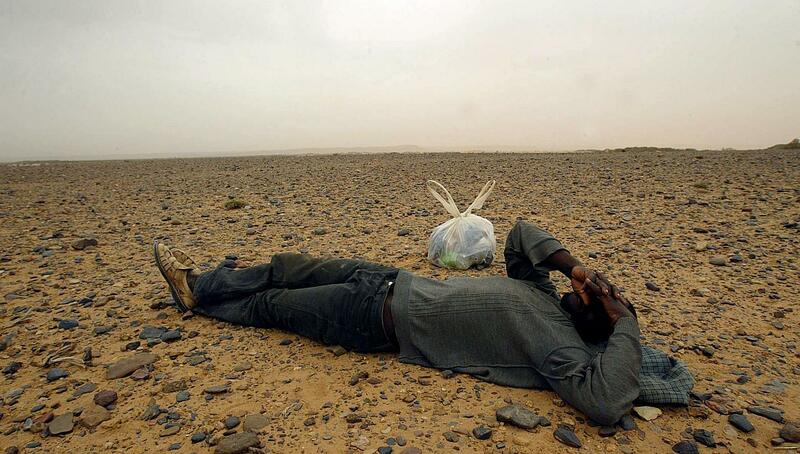 It was not clear for how long they had been walking in the deserts of central Niger. “They had been in a group of 75 migrants in three different cars, eventually abandoned by smugglers during the journey north,” Loprete said. IOM said it had recorded 52 deaths since it launched a new project “Migrants Rescue and Assistance in Agadez Region” (MIRAA) in April. The project will last for 12 months, and aims to ensure the protection of migrants in hard-to-reach areas while also strengthening the management of migration by the Government of Niger, it said. MIRAA is complementary to the larger initiative “Migrant Resource and Response Mechanism” (MRRM), which aims to bring together in one mechanism a wide range of services and assistance for migrants, including assisted voluntary return to their countries of origin and reintegration once they return.